When you need genuine Mercedes-Benz parts, there’s really only one place to go for drivers in The Villages, Ocala, Orlando, and Gainesville, FL: Mercedes-Benz of Gainesville. Our parts department is perfect for finding parts to take care of auto repair. Whether you want to handle it yourself or get it done at our Gainesville car dealership, we can help you out. Whichever option you choose, you’ll be able to find the parts you need at our dealership. Whether you’re driving in a New, Used, or Certified Pre-Owned vehicle, you’ll want genuine Mercedes-Benz parts to keep your vehicle running smoothly. That’s where our parts department comes in. For a comprehensive shopping experience from purchasing the vehicle and financing it to maintaining it with service visits, trust us at Mercedes-Benz of Gainesville today. At our Gainesville car dealership, we prioritize your convenience above all else. For that reason, enjoying our extensive inventory of parts is easier than ever. If you already know what you want or need, you can embrace convenience by ordering online using our Contact Form. You can request specific parts while also providing precise information on your vehicle so that you can make sure that you’re getting exactly and only what’s perfect for your vehicle. If you want to see what parts we have in store, from items like brake pads and even windshield wipers, you can always visit our parts department in person. Conveniently located in relation to the Service Department, you’re in a great position to quickly order parts if the need should arise during any auto repair service you might be getting. For example, if our experienced technicians discover that your vehicle has an issue that needs quick resolution with an automotive part, you can purchase it right there at our parts department. If it’s not in stock, we’ll order it and have it delivered as soon as possible. Count on expert customer service when you order from our parts department. Visit us at Mercedes-Benz of Gainesville to experience the shopping experience you deserve. If you prefer to let our professional Service Department take care of your auto repair service, they’re well-trained and experienced. Any part you order through our parts inventory will be seamlessly implemented into the repair service that our professionals do for you when you sign up for a Service Appointment. Our professionals are trained to take care of all sorts of repairs. Squeaky brakes? Say no more and let us take a look. If you’ve purchased an accessory from our parts department and need help installing it on the exterior or interior of your Mercedes-Benz model, you can count on speedy and accurate installation from our staff. 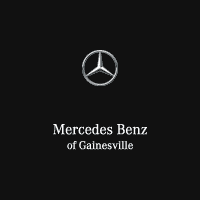 Excellent service and Mercedes-Benz of Gainesville are synonymous. Come see for yourself when you visit us today. Our Gainesville car dealership is home to numerous New Mercedes-Benz Models as well as an extensive inventory of Pre-Owned and Certified Pre-Owned Vehicles. Once you join the Mercedes-Benz family, you can customize your vehicle with genuine Mercedes-Benz parts and Accessories to make the ride truly yours. In addition to our outstanding parts department, at Mercedes-Benz of Gainesville, we offer complimentary pick-up and delivery service to drivers in The Villages, Ocala, Hernando, Summerfield, Beverly Hills, Inverness, Lake City and the surrounding areas. When you schedule with us in advance, we can arrange to send a driver to swap a loaner vehicle with yours at no extra cost to maximize your convenience. As long as there’s enough fuel in your vehicle, you’ll be ready to take advantage of this service. Visit our parts department at our dealership in Gainesville today.